Moving can be a daunting, stressful experience. Do you want to use a man and van in Oldham? Littleborough Removals has over 15 years of experience and will help you make moving as easy as possible. We pride ourselves on great customer care, superb product quality and service. With highly experienced honest friendly staff, you can depend on us for all domestic, commercial and office removals. We run a nationwide removal service, so if you are moving around the corner or across the country, our hardworking staff will be happy to help. Generally moving should be a happy experience, new place, new beginnings, however, moving does cause high emotions and stress. Organisation is the key to eliminate stress during a move, and we can help take the stress out of moving for you. In Oldham, a man and van from Littleborough Removals will help you plan your move from start to finish, on time and within budget. Your first step when moving is to decide what needs to be moved, what you should donate and what needs to be thrown out, as this will create less items to move. There are numerous things to consider and plan when moving, and securing the services of an honest professional company should be your first priority. Our company can assist you with any related moving issues that include packing and storage. If you do not already have packing containers, we will provide a professional packing service to ensure your items are packed securely and safely. 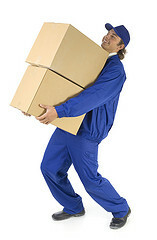 Using a man and van in Oldham, is using specialists in manual handling techniques. The staff at Littleborough Removals can move heavy items and boxes without the risk of injury. We understand the importance of safe transportation and will ensure that your items arrive safely in the same condition before they were packed. So you thought moving would be stressful? No way – when hiring a professional removal company, you can debunk the myth that moving is stressful forever. Moving has never been easier as we will provide enough help and moral support from starting point to a new home and better life. Give Littleborough Removals a call and our friendly staff will assist you all the way and take the stress of moving off your shoulders. This entry was posted in Moving Companies and tagged man and van in Oldham, Oldham man and van. Bookmark the permalink. ← What can a Man and Van in Rochdale do for you?